When, exactly, did the memo go out to every young female singer instructing them that from now on they would all play ukuleles and sing like children choking back sobs? You may as well tell me, because I know that a memo went out, that a rule was established somewhere. It had to be. This isn’t natural. This epidemic of cutesy-pie little girl voices that’s threatening to drown us all in a sea of swallowed words. You can’t escape it. It’s becoming impossible to find a young female indie-type singer who doesn’t sound like an infant on the verge of tears. I’d name names but it hardly seems necessary (and I don’t know any). Just type girl singer into Google and pick any one of them who is in her 20s. Even if they forego the uke and strum guitars or just sit on stools and sing, it’s the same swallowed-syllable baby talk from all of them. 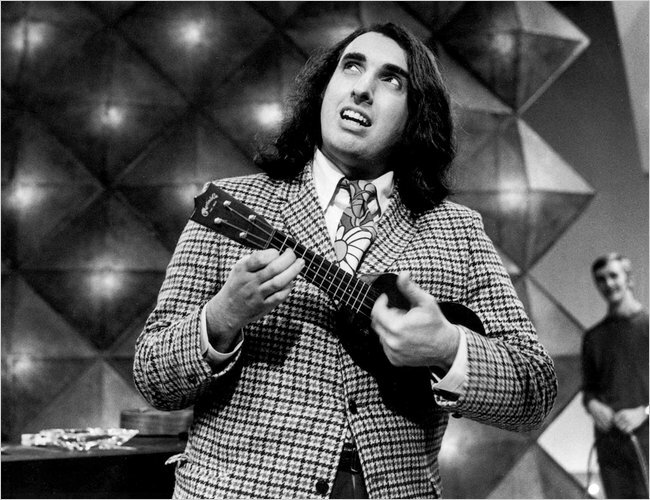 I guess the real question is, when did it become cool to emulate Tiny Tim? All right, I’m exaggerating again. Tiny Tim was an original, and I don’t mean to besmirch his name by comparing these singing diaper pails to a man like him, who was clearly a visionary genius. So what was it? What caused the babyfying of the world’s female singers? Was it the inevitable result of too much exposure to videos aimed at keeping babies occupied while their mothers mix another drink? I don’t know where it started, who was patient zero, but it doesn’t really matter. I’m pretty sure I know the particular place that spread the virus though. The same place most viruses originate: YouTube. I’m not sure what happened to rock and roll. It’s become paint-by-numbers and industry and it’s boring as hell. The danger is gone, the art is gone, it’s all gone up in flames. Which may be a good thing, since you have to burn something down in order to rebuild it. So I’m looking forward to the rebuilding. I’m looking forward to popular music rising from the ashes and becoming vital and dangerous again. Wake me up when it happens.